The team here at Double Glazing Essex Ltd understands just how much first impressions count, offering homeowners the ability to replace their property’s entranceways with some of the most stylish and practical solutions around. 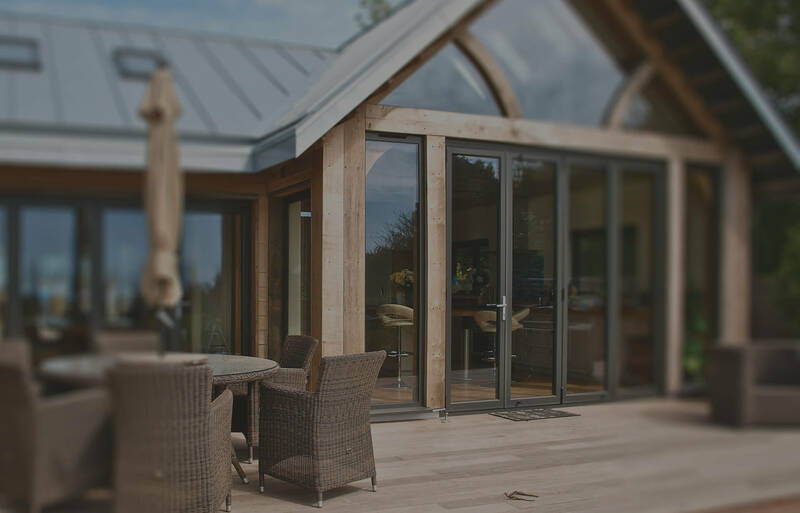 From innovative bi-fold doors that help create a wall of glass towards the back of the household to highly dense composite doors, our doors can be tailored to suit most modern preferences. Our standard selection of aluminium entrance doors allows for a great deal of customisation thanks to a full selection of RAL colours. Their style is then only matched by their extremely impressively strong height-to-weight ratio which makes for long-lasting and highly secure performance that works well to reinvent the household. Two of the most popular patio entrance styles, classic French doors provide plenty of sophistication through elegant two-panel outwards opening. While those looking to blur the line between inside and outside living spaces will appreciate the smooth function of sliding patio doors. Both can be supplied and fitted in aluminium or uPVC. Quite rightly considered one of the most secure entrance doors available, composite doors take their name from their mixed material construction, which works well to keep homes insulated as well as safe. They provide the genuine look of traditional timber without the need to repaint or look after. It’s a classic looking door fit for the modern age. Bifold doors are definitely one of the most contemporary rear entrance solutions, made up of anywhere between 2 and 7 aluminium panels that neatly fold in on one another to help homeowners make the most of space while transitioning. Natural light never has a tough time entering the home and open views are a mainstay.